After slamming both the major parties on their climate and energy policies, Senator Spender warned that any support for future policies from a re-elected Liberal Democrats Senator will be based on two conditions. “The Liberal Democrats will make any deal conditional on the abolition of the Australian Renewable Energy Agency and the Clean Energy Finance Corporation, and on the legalisation and regulation of nuclear power, the safest form of power generation there is,” he declared in his speech. “If re-elected, the Liberal Democrats will push for the prohibitions on nuclear to be repelled in the Environment Protection and Biodiversity Act 1999, which, fortuitously, is due for its statutory review this year. “The fact is, nuclear power is the safest form of energy there is. It has the lowest deaths per terawatt hours. “Nuclear power also has the smallest environmental footprint and generates zero GHG emissions. “Australia is well-endowed with uranium resources, boasting one of the biggest reserves in the world at Olympic Dam. “It is clear that both the major parties have no political stamina when it comes to delivering climate and energy policies that bring down emissions and solve our energy crisis. 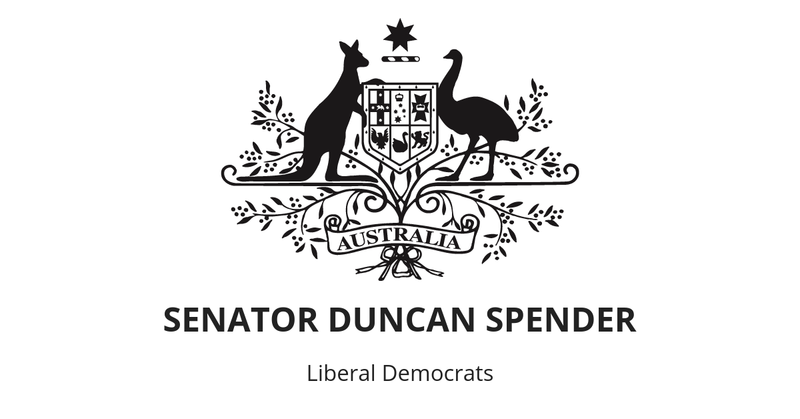 “A vote for the Liberal Democrats is a vote to pave the way for nuclear power in Australia,” Senator Spender concluded.